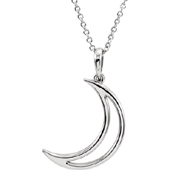 Silver and moons have always been a popular combination, and in this stunning sterling silver crescent moon necklace from Apples of Gold Jewelry, it's easy to see why! 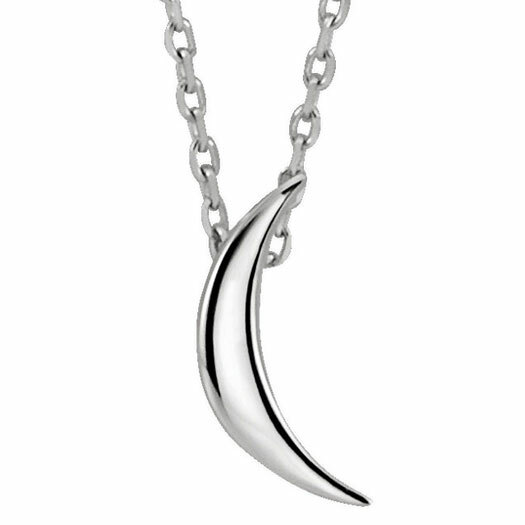 This beautiful, perfect crescent moon is made from .925 sterling silver, and it will shine from day until night! The moon measures 7/16" tall by 3/16" wide, and has a 1mm cable chain with spring-ring closure attached. The chain is also adjustable, allowing you to easily adjust between 16" and 18" in length.